LeoFS’ domains are ruled by this rule. 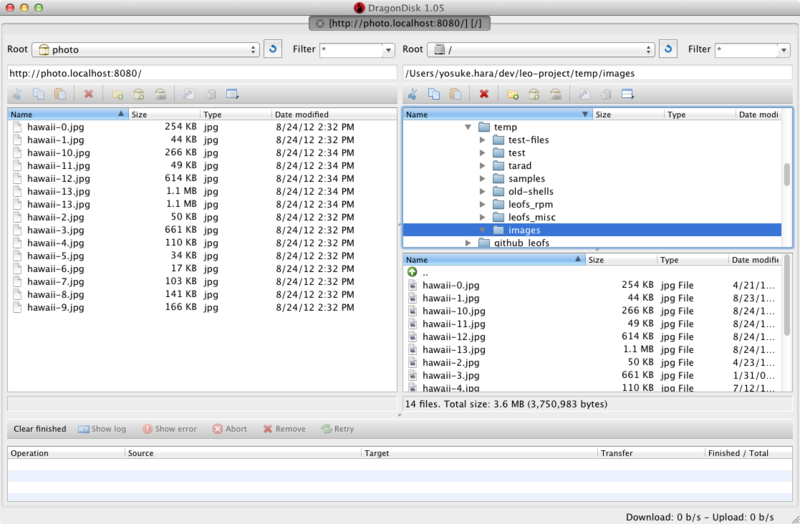 DragonDisk is a powerful file manager for Amazon S3 Compatible Storage. 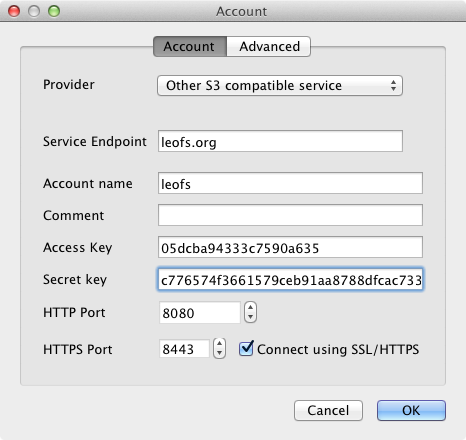 To setup your LeoFS’ account, go to the menu File/Accounts. If the details are valid, you can see that S3 has been added to the Root list. You need to create the bucket where the objects will be stored. Buckets can only be manipulated using a unique, developer-assigned key. 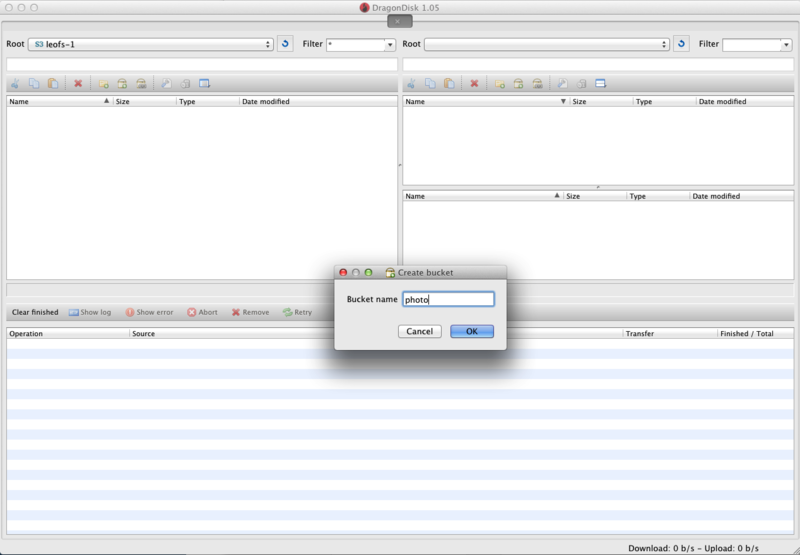 You can upload files into LeoFS, download files from LeoFS and do any other operations on them. Copyright © 2012-2016 Leo Project. Sponsored by Rakuten, Inc. and Supported by Rakuten Institute of Technology.